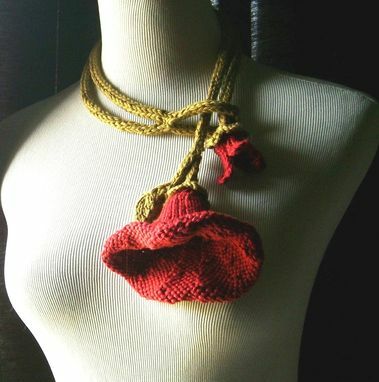 Hand knit from super soft cotton yarn my Bloom-In Red necklace is a very unique piece of art to wear! Due to their ever increasing popularity, lariats are becoming a very smart choice for quick easy cool accessories for spring/summer wear. 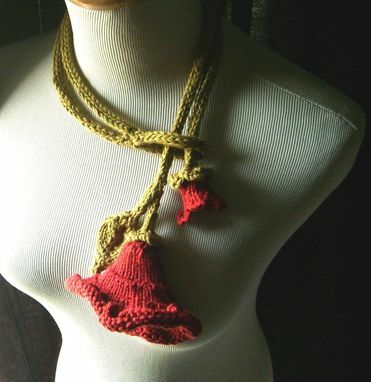 I had a wonderful time knitting this lariat, as I continue to explore floral knitting! 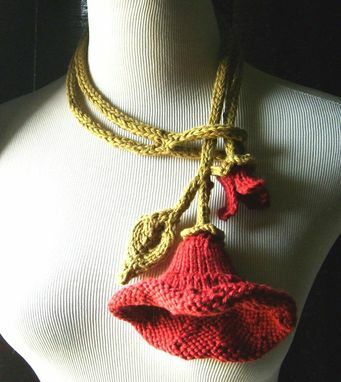 The pretty red colored trumpet flower and knit leaf is affixed on one end and a single red bud peeks out on the other end. The center of the vine portion has a convenient loop that the flowers slip through for fastening. 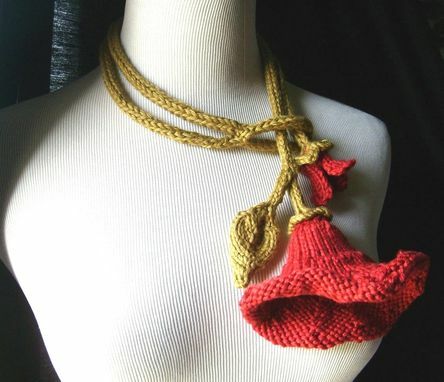 Because it is a very comfortable to wear piece, there are no worries about something itchy or hot around your neck! Just perfect for a pretty floral dress, a bridesmaid accessory or any time when you want to feel pretty! 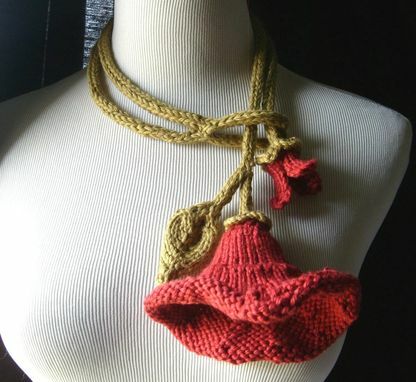 Care: Hand wash in cold water OR machine wash placed inside lingerie bag...lay flat to dry.